COPYRIGHT © 2007 Custom Glass Fabricators, Inc. All Rights Reserved. 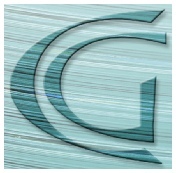 Custom Glass Fabricators, Inc. reserves all rights under copyright, including without limitation rights to photographs. No permission to copy or publish any portion of this brochure is granted without the express written permission of Custom Glass Fabricators, Inc.